Report, stats, highlights: Manchester United 3 – 0 Liverpool Manchester United successfully clinched their sixth victory in a row with a win over Liverpool today. Manchester United successfully clinched their sixth Premier League victory in a row with a win over Liverpool earlier today. Thanks to Wayne Rooney, Juan Mata and Robin van Persie for the goals and a big thanks to David de Gea for his World Class performance. It all started when United’s skipper Wayen Rooney broke the deadlock on 11th minute of the game with the help of Antonio Valencia. Liverpool had so many chances which could have been converted into goals but they failed. Full-back Glen Johnson joins the injury list as he suffered a knock in the first quarter of the game. Just six minutes away from the half, Spaniard Mata doubled the lead with a header from a close range. Liverpool introduced Mario Balotelli in the second half who failed to make three clear cut chances into goal, however they were well saved by David de Gea. Raheem Sterling also had a golden opportunity while coming one on one with the keeper but De Gea managed to stop. 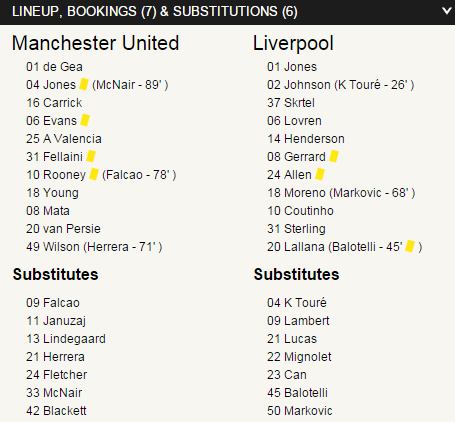 Van Persie finished the game by taking United three nil up on the 70th minute. 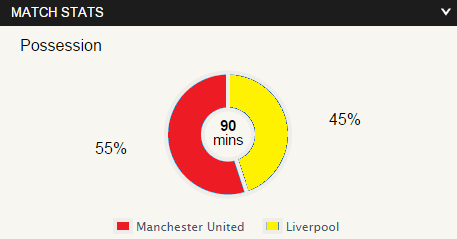 Liverpool made many chances for the first time this season but failed to make the most of it. Balotelli, Sterling and Henderson all should have scored if they had luck with them. Manchester United remain on third spot with 31 points while the away side are 10 points behind the Red Devils at ninth spot.